In one of the surveys conducted last year to rate the cities based on auto insurance prices, California occupied the sixth place in the list of the most expensive states for auto insurance premiums. The good news for the Golden State this year is that it is now in the ninth place. However, the report that revealed the new list refrained from detailing the reason for the fall in insurance prices in this state. If California is in the ninth place, which are the other states that find their mention at the top of this list? The list for the most expensive auto insurance in America is led by Louisiana where the annual average auto insurance premium is $827 more than California and stands at $2,536. One of the reasons for such high premiums in this state is the legal system that governs motor vehicles. The report that listed these states said that in the state of Louisiana, the auto insurance claims should come up to at least $50,000 if there has to be a jury trial held to reach a verdict. The claims that are lesser than this will be assigned to the judges in the lower courts who tend to rule in favor of the policy holders more often than not. 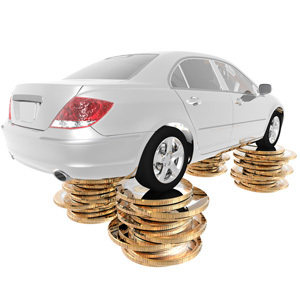 This results in a liability for the auto insurance provider who in turn transfers these costs to the customers. The second spot in the new list published in the report listed Oklahoma in the second spot. The reasons for high insurance premiums in this state can be attributed to the occurrence of many natural calamities such as tornadoes, floods, snow and also the increase in the number of uninsured motorists who pose a great risk to the auto insurance providers. The third spot was occupied by Michigan where the auto insurance premiums are high because of the no-fault auto insurance system that is in place.